Every year at the International Consumer Electronics Show, global leaders in tech debut their latest and greatest developments. When it comes to innovation, this is where brands bring the heat. i.d.e.a’s own Director of Client Growth, Chris Robertson, attended the 4-day conference in Las Vegas and reported back with the most courageous ideas coming out of CES. 5G will power the future, and it’s coming to the masses late 2018. The platforms were heavily featured by tech giants Qualcomm (client) and Intel, two of the technology's leading developers. Connecting an entire home, streaming 24-hour 4K surveillance, and gaming in ultra high-definition with zero latency all take up a ton of bandwidth, requiring a super-fast internet connection to create an optimal experience. 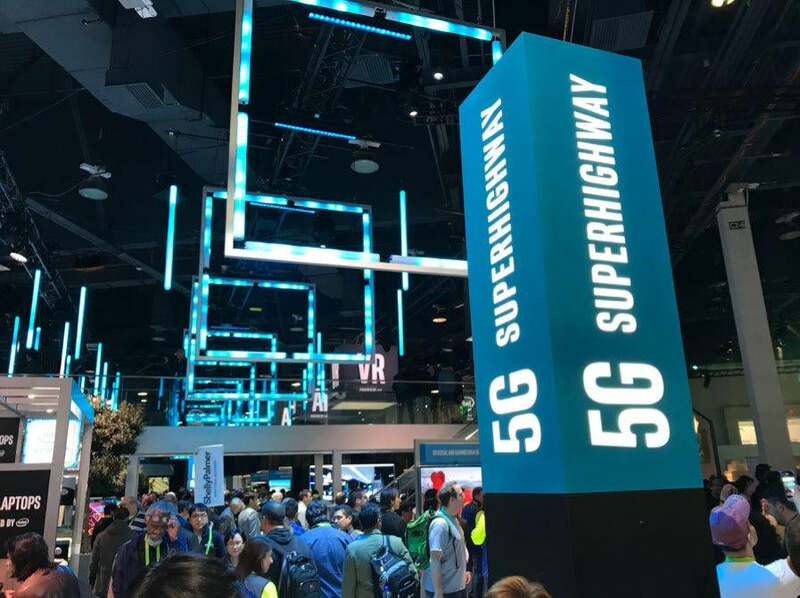 5G will be game changing (it’s about 10x faster than 4G). From a marketing standpoint, faster internet also means wayyyy more data can be gathered as the IoT (internet of things) connects (and collects) everything. In 2017, we saw the rise of manufactured smart home devices from Amazon’s Alexa, to Google Home, to Sonos. 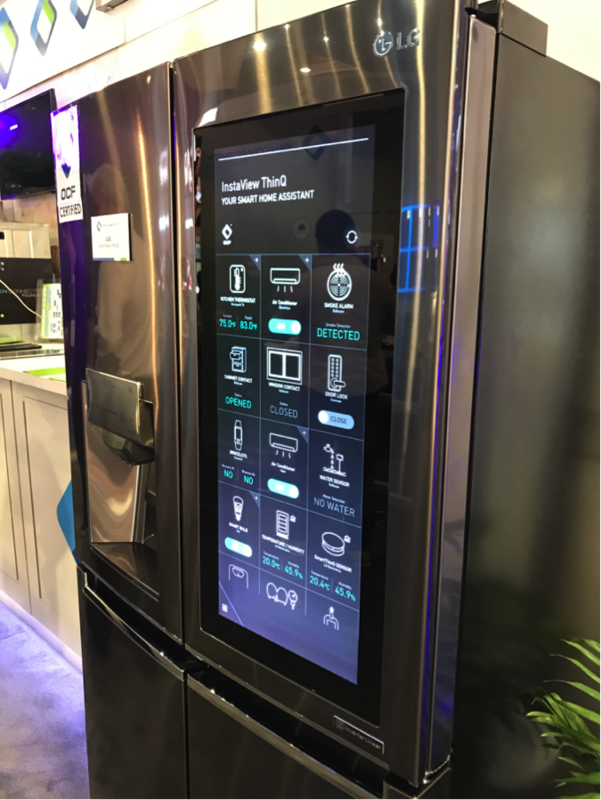 This year, we saw these products unveil how compatible they are with everything you own – from smart refrigerators to next level speakers, 2018 will be the year of home gadget synergy. Jibo’s social robot and Sony’s Aibo (robotic dog) bring a more life-like presence to the room, developed more as companions than devices. However, while the technology may be useful (and even sometimes cute), the entertainment industry has conditioned us to distrust artificial intelligence. Movies like 2001: A Space Odyssey and The Matrix have shown us what can happen when AI goes wrong ¬– creating a major positioning problem for brands. In addition to offering value, they’ll need to convince mainstream consumers not to be creeped out by their innovative products. 2018 is going to be the year that augmented reality (AR) booms. Google released new experiences for their Pixel and Daydream View lines, giving access to smartphone AR and high-quality mobile virtual reality in the same device. Why is AR so buzz-worthy right now? AR technology is already built into most basic smartphones, meaning AR units in the world number in the BILLIONS. With that many devices in circulation, brands are dreaming up ways to utilize smart phone AR for education, health care, gaming, shopping – the list goes on. Unfortunately, most of the use-cases for augmented reality featured at CES were thin. Heads-up displays on goggles and apps that add virtual overlays to the physical world are cool to play with, but most don’t really satisfy a typical need. But, one beauty product made by Perfect Corp delivers. YouCam Makeup allows you to virtually try on over 100 brand-name cosmetics in-store at the counter or at home with your smart phone. You can test out individual products like lipstick, mascara, blush etc. or see an entire look (e.g. Smokin’ or Dreamy). 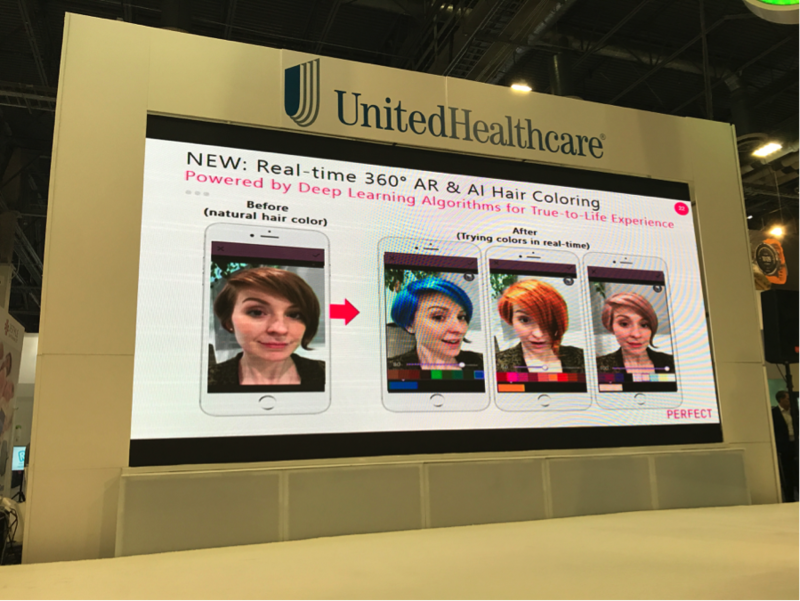 It was also announced at CES that they are launching a hair color app this spring. The app has 550 million downloads worldwide with over 1 billion sessions each month. On every level, courageous brands at CES demonstrated how a connected, artificially intelligent, augmented world is going to make our lives faster and better. But after four days of walking the expo halls, we’re just ready for that hover board.